A draw obviously isn’t the best result especially in our quest to seal third spot but coming away from the Britannia with a one-all draw is a very good result for Arsenal. The result is more appreciated based on the fact that both Manchester clubs got only a point there as did Chelsea, while Liverpool left the Britannia with nothing… oh yea, ditto the Tiny Tots. Then the result is most appreciated when you add Wigan Athletic’s astounding 4-0 drubbing of Newcastle United, a result that means we will have a four point lead over the chasing pack when the rest of the weekend’s fixtures are over. Over to our performance then. Having lost three of our last four visits here, going behind to Peter Crouch’s header after nine minutes made it seem it’d be deja vu. More so as the goal had come against the run of play, with Begovic already put to test off a shot from Yossi Benayoun and the PFA & FWA Player of the Year’s header few minutes before Crouch’s goal. Robin van Persie would finally register a goal from open play after going about 11 hours without one, getting on the end of a Tomas Rosicky cross to equalise. Benayoun is commended here for winning the ball off Shotton and initiating the move that resulted in the captain’s 130th goal in his Arsenal career. Unfotunately, the rest of our afternoon was laden with misses as Gervinho, Thomas Vermaelen and Aaron Ramsey fired shots wide while van Persie had a soft header saved comfortably. Most importantly, Bacary Sagna made a clearance late in the game as the towers that be at Stoke went aerial on us in search of an undeserved winner late on. Diaby continues his return to actually being a footballer with another decent appearance from the bench for Ramsey. We stay hopeful for his feet’s lasting ‘fitness’ this time around. We could have had a penalty in the closing quarter hour of the match after Whelan ‘bullied’ the very industrious Benayoun in the box. Arsène Wenger revealed after the match that he’d been told by the assistant referee that the incident hadn’t been seen. Onto another sensory device and Tony Pulis’ hearing left him unaware of the senseless booing of Ramsey who impressed on the day. He did criticise Gooners in the stadium for booing Ryan Shawcross… a rare case of SHS here; Selective Hearing Syndrome. Le Professeur has hinted that his next assistant on the bench will be one with a history at the club, a welcome hint I might add, mind had started infatuating with the idea of Pep… nevermind. With Pat Rice set to retire at season’s end, a host of names have propped including Tony Adams, Martin Keown and academy boss Steve Bould though the latter only recently ruled himself out, sort of. Personally, I would much love to have the Dutch master Dennis Bergkamp as Rice’s replacement next season as I see him as an ideal successor to Wenger, who would prefer to have someone that will keep the ‘philosophy’ going at the club. Share your thoughts below about the result at Stoke and on who you see being Wenger’s new sidekick from next season. Good day to you wherever you’re reading from, hope you painted the town red yesterday as the occasion called for it? Or did you spend it alone at home and pretend to be having an amazing time? Well if you did the latter, today presents you with the chance to do the former(get it?). The Champions league is back and in full effect and like they say, this is where it gets real and where champions are made. We travel to Italy to play Milan in a stadium where we boast a 100% record, two wins, 7 goals scored and 1 goal conceded so on paper we should expect another win right? Let’s go on and get it. Arsene Wenger has issued a rallying call that we must get away goalS not just one as it will put us firmly in the driving seat to progress. Even Ramsey says we should shoot on sight and who can blame him? He did that with his first touch on Saturday and he found the net besides Abbiati(milan GK) is the Italian Almunia/De Gea. I fancy an Arteta goal (so long its not from a dead ball situation) and the pace of Walcott & Oxlade to trouble their full backs. AC Milan are not to be taken lightly, do so and suffer, they sit atop the Serie A and are in good form despite the loss to Lazio a few weeks back and its going to take a lot to leave the San Siro with the perfect result. Like Arsenal, they came back from a goal down to win against Udinese so trust me, on our toes is how we must be the entire 90. Arsenal are going to be unchanged from the squad that went to sunderland with the only changes coming to the first XI, the game comes too soon for Gervinho but Gibbs is likely to return. Mertesacker is out for a month if you believe reports and Ramsey or Arshavin might themselves starting after the impact they had off the bench. This is how I would line up…. Strange right? You were expecting to see Ramsey/Rosicky but for once I’d love to see Arshavin start in the hole behind RVP not out on the wings and he can regularly switch with Oxlade/Theo. They welcome Boateng & Pato back into the team after early reports that they would miss out through injury, Ibrahimovich should start as his ban is a domestic one. So expect a full strength milan side. Well there you have it, see you back here tomorrow and hopefully we’ll have great news to share. COYG. Its becoming rather disgusting how Wenger confidently continues to “act a fool” and keep a straight face amidst all his failings. If its not starting Ramsey every game, its giving Theo 90 minutes & bringing on subs when the game is all but lost/drawn. Some fans, if I could, most have given up, some have even gone as far as hoping we fail to make Europe at all come end of season(I’m in this bracket, let’s face it, RVP staying might not happen) as it might guarantee changes come summer. Not in a long time, probably since the 2005/2006 season has 3 points been more needed, its what the team needs, that boost & we need to do it emphatically & the opponents tomorrow are not going to make that easy. Blackburn come to the Emirates in a mixed form just like us and would have taken encouragement from Bolton’s performance but I HOPE we’ve learnt from that game & get all 3 points. Word is due to the unrest amongst fans, a bin-bag-protest is going to happen, I have no idea how that works but its a protest. If #OccupyWallStreet & #OccupyNigeria could work to some extent then surely we the Arsenal could make our voices heard, albeit peacefully(before or after and NOT during the game). Let’s get behind the lads and aim your discontent at the board. Looks like there won’t be any change(s) to the team that started against Bolton, even though everyone wants to see Ramsey & Walcott dropped, I don’t see it happening. No idea if Chamakh would be back in time for the tie so the bench should remain the same. What I’d love to see is 4-4-2, the midfield comprising of Oxo-Song-Arteta-Rosicky with RVP & Henry/Park upfront. We NEED to & MUST win this game, if we had taken all our chances we should be way ahead of Chelsea instead we’re still within touching distance, so here’s hoping the ones ahead of us slip this weekend because its really sad to see Spurs doing so well even though they haven’t had the misfortune of injuries of other clubs but I’m not using that as an excuse. 3 points key and that could lift the gloom around the club even if its temporarily. From wherever you’re reading, have a swell day. See you in the comments. With all the media hysteria of Henry’s homecoming surrounding the game, one would forgive Leeds for feeling hard done by as the fixture was supposed to be about us & them and a possible cupset, and with the way they started out you could see they didn’t come to be rolled over. Mixing youth and experience, Wenger went for a formation of Szczesny-Coquelin-Miquel-Squillaci-Koscielny-Song-Arteta-Ramsey-Arshavin-AOC-Chamakh. The first half was the closest you’ll get to a bore fest as chances were few and far between both teams, Ramsey and Arshavin at the heart of most of the attacking which just lacked the bite typified by an Arsenal team. AOC was having a quiet game just like the Leeds attack which found Song & Arteta too much to handle in front of the defense. After just 20minutes, Coquelin picked up an injury and had to be substituted for Yennaris. The first half ended like it started with zero shots on target for both teams. Resisting the urge to make changes, the same team resurfaced and started to play like they really wanted it, AOC took it on himself and collected a pass on the left and ran at the defense before unleashing a stinging drive. That wasn’t the end, he went on another mazy run down the other end but missed the target. Ramsey and Arteta kept feeding the Ox with passes as Chamakh continued to be pretty much inactive in the game and this time, the young englishman hit another rasping drive which was turned round the post for a corner. AW had seen enough and called on club legend(former number 14) and current number 14(Walcott) to replace Oxo & Chamakh(I wanted Ramsey & Arshavin to go off as they had been average). In less than 10 seconds Henry had touched the ball but he was offside. But not to worry, the script had been written to perfection, Song slipped him a delightful pass, he took one touch, dropped his shoulder & bent it calmly past the goalkeeper… Vintage Henry, the celebration that ensued said it all, running and shouting and beating his chest before going to embrace AW & celebrate with the lads. Leeds threatened to score but Chesney pulled off a great save to ensure no other mortal graced the same scoresheet as Henry. 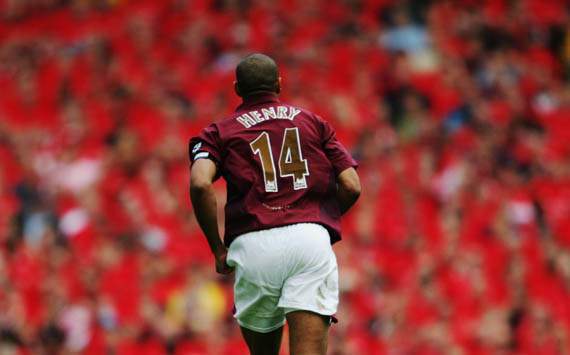 In what proved to be a poor performance, no one would remember as Henry grabbed the spotlight as he had done all week. I say let’s sign him till the end of the season. We’ll leave the review of the poor performance for another time but credit to Yennaris who came on for Coquelin and showed pace, heart & desire, would get a run in the first team till Sagna is fit. The dust has settled, Christmas festivities are over and man’s first love, football is back and your favorite team is in action tomorrow. We welcome Wolves to the Emirates after getting back to winning ways against Villa, not the best of games but as always its the result that counts. So let’s have it shall we? It is worth knowing that Wolves haven’t taken a point off us in the last six games in which we’ve kept clean sheets in the last three games. Boosting this is the fact we’ve conceded just 5 goals at home with only City(4) & Swansea(2) boasting better. But with the way Wolves are scoring goals these days & the tandem of Jarvis crosses & Fletcher’s headers, we might have to be on our toes & avoid any complacency. Robin Van Persie can’t stop scoring & Wolves can’t keep a clean sheet, so expect a couple of goals. Arsenal remain without Jack wilshere, Sagna, Diaby, Gibbs(who suffered a setback), Santos while Song returns from a suspension and would go straight into the team. The team has been struggling for bite, sharpness & cut throat finishing these past games so I’d like to see fresh faces. Gervinho & Ramsey should be rested, off color for a while now and Rosicky & Benayoun(AOC) should take their place. The thought of RVP flanked by 2 exciting & very different englishmen is one I’ve been entertaining even though I don’t see it happening. So long Arshavin & Chamakh & Squillaci don’t take the field, I’m good. Let’s win this & show that the City loss was just a glitch. COYG!!! Would seem one’s complacent by writing off Fulham’s chance before the teams file out for Saturday’s evening kick-off at the Emirates and below is why. Robin van Persie has a strike ratio of 0.88 goals per game this calendar year for club and country, that is 44 goals in 50 games so far in 2011. A stat bettered only by Cristiano Ronaldo with Lionel Messi in third. Then there’s the 13 league goals he’s scored so far, more than what the entire Fulham team has scored. Only Les Ferdinand with 14 goals after 12 games has a better record in Premier League history. That’s not all but I’d stop there with the captain and highlight that(largely thanks to his goals) Arsenal have won its last five league matches and 11 of the last 13 matches in all competitions. With Tomas Rosicky likely to return from the thigh strain that kept him from the midweek win over Dortmund, it’s likely for that run to continue. It also gives a pleasant feel knowing we have some real depth in the squad now, and that’s with Bacary Sagna, Kieran Gibbs and Jack Wilshere on the sidelines. Fulham on their part will be without Steve Sidwell, Stephen Kelly and Damien Duff for the match though with Bobby Zamora and Danny Murphy, the Cottagers can prove a bit stubborn still. 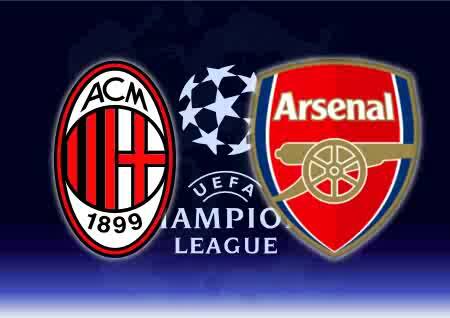 Possible line-up : Szczesny-Koscielny-Mertesacker-Vermaelen-Santos-Arteta,-Song-Ramsey-Gervinho-Walcott-van Persie (c). I mean, why change a winning team? Coming midweek, we’ve got Etihad boys Manchester City visiting in a League Cup quarter final match and it’s arguable that we should rest the first team regulars. However, I’d like to see the strength of our squad depth in the likes of Park, Arshavin, AOC, Fabianski and co against a City side whose bench is more than capable of being another first team. As for this weekend, I’m going for a 4-1 win. Got this feeling any of Theo, foreheaded one or Arteta would be among the scorers, also fancy Mertesacker to score his first Arsenal goal. Finally and interestingly, Liverpool host City on Sunday while Newcastle visit Old Trafford. With us just three points off third place, any outcome from these matches would favour us and I’d like to see City lose. Hopefully to start the kind of run dear Chelsea’s going through now. Have a splendid weekend wherever you are, see you in the comments.